After the World Cup in Antholz, my coaches suggested that I skip the first of two North American World Cups-- World Cup 7 in Canmore, Alberta-- in order to best prepare for World Cup 8 in Presque-Isle, Maine and World Championships in Oslo, Norway. 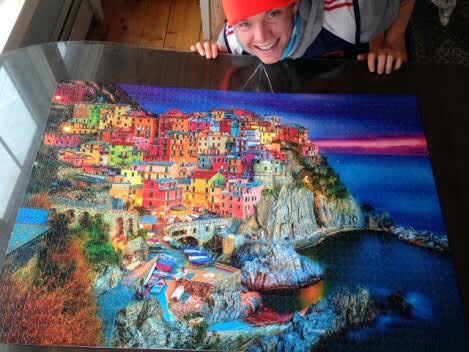 I was sad to miss the opportunity to compete in Canmore because it is a beautiful place and I want to do as many races as I can, but in the end I agreed with the plan. 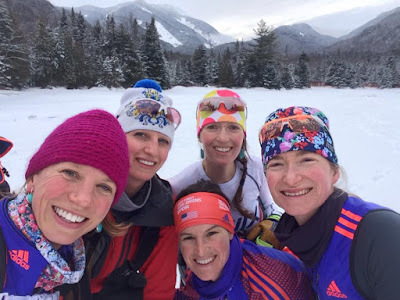 I had a good week of training in Lake Placid with a few of my teammates and my coach, and then when they headed west for Canmore I headed back to my old stomping grounds in Craftsbury, Vermont. 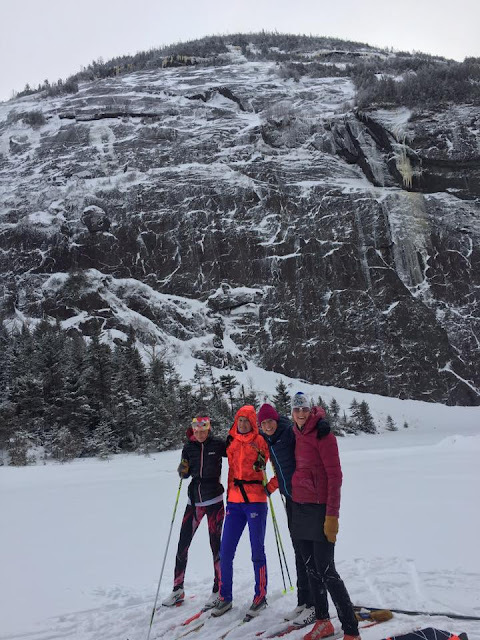 On Avalanche lake with the cliffs of Mount Colden in the background. The timing of my break at home aligned perfectly with the New England nordic racing calendar. 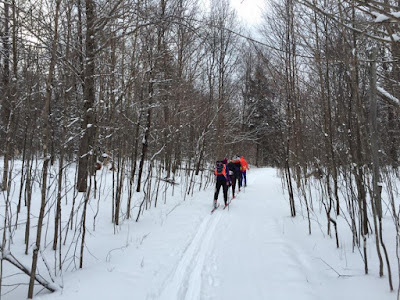 There was a NENSA Eastern Cup + Super Tour the weekend I was in Lake Placid, and then Craftsbury hosted an Eastern Cup + Super Tour + Carnival the following weekend! The Eastern Cup crowd consists primarily of U-18 skiers who seek a higher level of competition than their school circuit offers; the Super Tour skiers are the top US racers vying for start spots on the cross-country World Cup; and the carnival crew are NCAA Division I eastern collegiate racers. It was a blast to see all my old cross-country ski buddies, many of whom are coaches at this point rather than athletes! I had not been to a non-biathlon ski race since winter 2014. 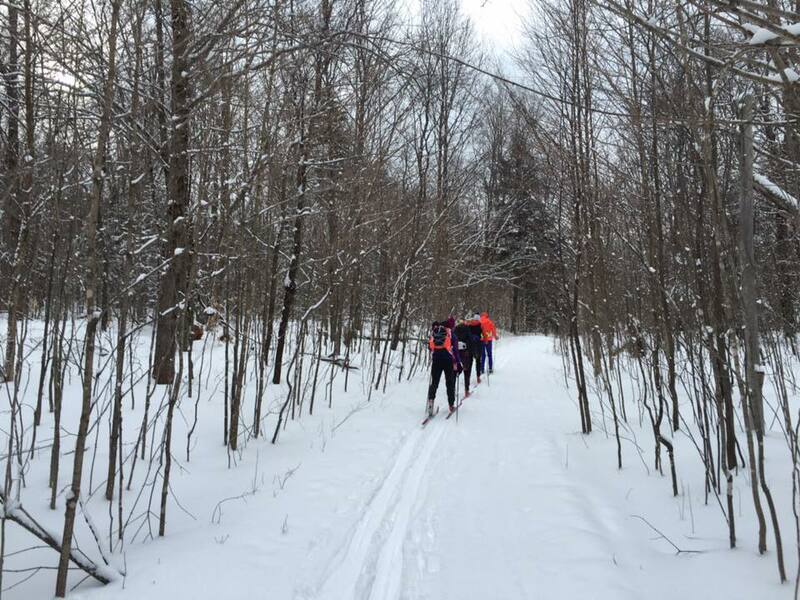 Despite my two-year hiatus, I decided to jump in the 5k skate race on Saturday in Craftsbury which boasted 225 women!! That is the most women I have ever competed with on any given day, at any level. I finished 5th, which was a good confirmation that I am on the right track in terms of getting my ski speed back up after my December slump. Results. birthday by tying for second place in Sunday's 10k classic. Doing two interval workouts in pouring, freezing rain. Now I am in Presque-Isle, Maine getting ready for my first race on Thursday. I am working really hard to prepare for a great performance so I can make the pursuit by finishing in the top-60! There is a women's 4x6k relay on Sunday that I also hope to be part of. We are bringing five women to this event though, and the coaches have not yet named the relay team. A good race on Thursday would help my chances!